Williams Woods includes almost 27 acres of preserved woodlands in north west Grafton. This parcel consists of red and white oak, white ash, beech, cherry, poplar, white pine, sassafras and the occasional dogwood tree and ascends a mild sloping hillside. Parking is available at the trail head on Brigham Hill Rd. A trail winds through the Williams Woods, connecting with other Land Trust Trails. 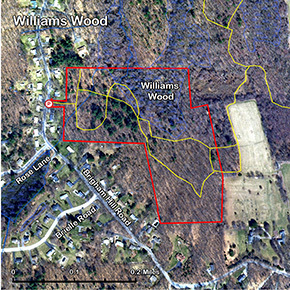 In 1995, Washington Mills Co. purchased a parcel of Brigham Hill Farm containing the 26.8 acres now known as Williams Woods. In December of that year, at the urging of Peter and Shirley Williams, Washington Mills gave the land to the Grafton Land Trust, "to ensure that the quiet beauty of this lovely forest would be preserved in perpetuity for the enjoyment of all". Settled in 1727 by Charles Brigham, Esq., and subsequently his descendants, Brigham Hill Farm once encompassed most of Brigham Hill Road. The Brigham family ran a dairy farm there until the 1900's. The Williams Woods, which lie on the northwest side of Brigham Hill, were once part of Brigham Hill Farm. As years p assed, parcels of the original farm were sold to augment the farm's income. 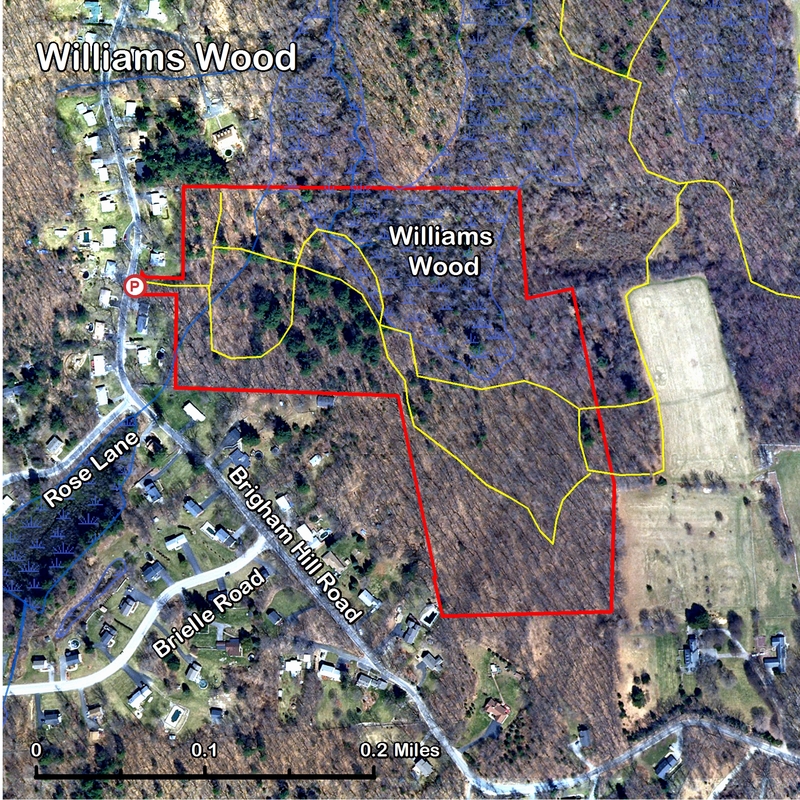 After several intervening owners, Washington Mills Co. purchased a parcel containing the 26.8 acres now known as Williams Woods. Washington Mills is the oldest abrasive company in the United States. Founded in 1868, it still operates in North Grafton and provides employment for over 100 local people.